Our Technical support team will do their best to solve any problems when using INKSYSTEM products. Download instructions on installation of CISS or Refillable Cartridges (RC) here. Receive qualified help in the nearest INKSYSTEM representative office. The list of representatives is placed in the bottom left corner of this site. 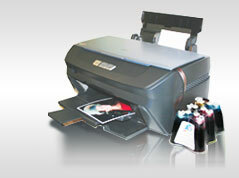 Our experts also perfectly serve printing systems such as Epson, Canon, HP and Brother. Thus you can consult with us on these questions too. If you have not found an answer to your question, please contact us: e-mail: help@inksystem.org, ICQ 438-499-372, Skype inksystemhelp. Kodak inkjets doomed to failure. Inkjet printers are filthy, lying thieves. Copyright © INKSYSTEM CORP. 2006-2009. All rights reserved.